Developed jointly with ISO (International Standards Organization) standards to serve those users involved in the international transport of petroleum products, this series has been adopted by ASTM and their use sanctioned as the metric standard for petroleum hydrometers. Graduated in Kg/M3 (Kilograms per cubic meter) @ 15 °C for petroleum products. 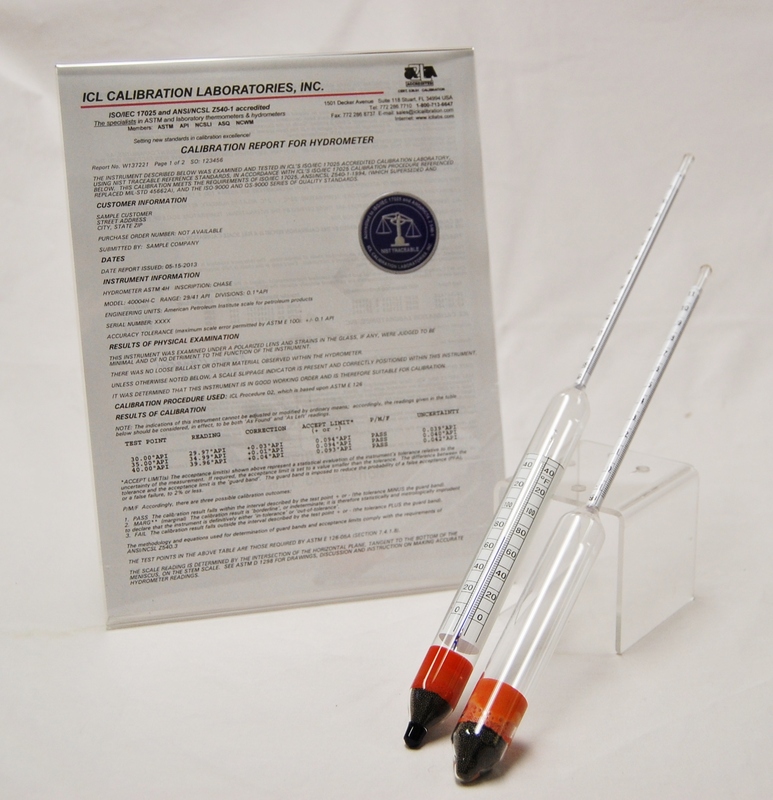 These hydrometers are fabricated with a thermometer in the lower body for convenience to the user. For any particular density range, three temperature ranges are available, coded as follows: L=Low -20/65 °C, M=Medium 0/85 °C , or H=High +20/105 °C. The units listed below are the most popular. Variations are available on special request.